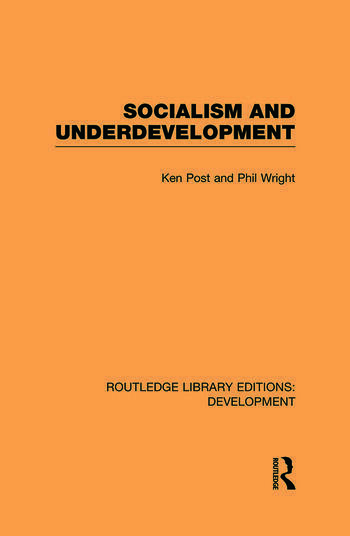 In this book, first published in 1989, Ken Post and Phil Wright provide a critical analysis of socialist construction in underdeveloped countries. Pointing out that all the socialist revolutions of the twentieth century have occurred in underdeveloped peripheral capitalist countries, they focus on the relationship between socialism and underdevelopment. They bring together the insights of both development theory and the political economy of socialism, and draw upon their direct experience of the state socialist societies as diverse as North Korea, Yugoslavia, Vietnam, and the Soviet Union.